Since 1930, our company is actively engaged in the production, processing, standardization and exportation of the world-renowned Kalamata Olives. 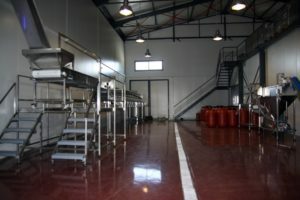 We run a vertical production unit in the region of Skoura, Lakonia. Our olive groves are situated in the mountainous regions of Sparti, where the cultivation of olive trees started many centuries ago. 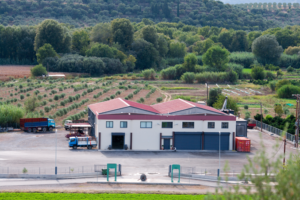 In our facilities, with the application of modern technologies in the fields of processing and machinery and using our long experience in the olive production sector, we preserve the traditional character of the product, while always trying to serve our clients in the best possible way. The company Spartan Treasure is exclusively engaged in the Olive industry and olive product exportations. The company is seated in Peania, Greece, in private facilities. We put our words into action, and this is why our company enjoys the absolute trust of our producers - providers in every corner of Greece, as well as the trust of our clients abroad. and are subjected to continuous controls to improve every stage of olive delivery, storage, processing, standardization, bottling and packaging.